One of my favorite parts of my job is the fact that I get to speak to CX leaders every day. These innovative minds come from companies of all sizes, in all regions of the world. Through those conversations, we learn so much about how these forward-thinking companies are approaching the customer journey, thinking about new technologies like AI and, of course the challenges they face. The insights gained help us inform our product roadmaps to ensure we are optimizing Bold360 to meet our customers’ needs both today, and as they scale in the days, months, and years to come. How can we take advantage of new channels of engagement to meet customers where they already are (think: Facebook Messenger)? I want to modernize our customer journey with new channels and technology but I’m worried about a disconnected user experience. AI doesn’t need to be over-engineered or complicated. It is more approachable than you think. There is harmony in artificial intelligence solutions. Certain types of customer engagements are still best handled by humans. AI doesn’t compete with human agents, it compliments them. AI allows customers to more intuitively self-serve and find the answers they need themselves- a win-win for everyone. Taking a customer-first approach is not just advice for our customers, but something we also live by. Challenges continue to evolve and we rely on our close relationship with our customers to keep us honest on where we need to optimize and innovate. AI was one of those areas and our customers have been really excited about our advances there. If AI is on your mind, take it from those that have done it before – start early, start small, define your use case and take those learnings to refine and grow. 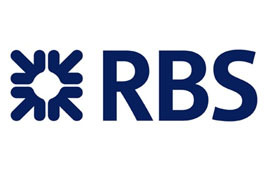 To learn how other companies are innovating the customer experience – check out how Royal Bank of Scotland serves nearly 2 million customers with Bold360. Explore our other Customer Experience or Recent Posts. Copyright © 2003 - 2019 LogMeIn, Inc. All Rights Reserved.